In the market for a hot new high-end smartphone with a discreet notch, stellar battery life, excellent camera, blazing fast processor, and reasonable price point? Why not get the Huawei Mate 20? Technically, that bad boy is not officially available stateside, as the world’s number two handset vendor has effectively been banned from one of the top global mobile markets. But that can’t stop top-rated eBay sellers like Never MSRP from offering “international” factory unlocked stock with free nationwide shipping. The non-Pro Huawei Mate 20 is up for grabs right now at $599.90 in both black and midnight blue, supporting GSM networks like AT&T and T-Mobile with full 4G LTE connectivity. We’re obviously not talking about refurbished units here, as the phone was barely unveiled last month, along with the in-display fingerprint-scanning Huawei Mate 20 Pro variant. This very affordable model lacks both that modern biometric recognition feature and a 3D face scanner, also settling for an IPS LCD screen with 2244 x 1080 resolution, compared to the stunning 3120 x 1440 AMOLED panel on the Mate 20 Pro. 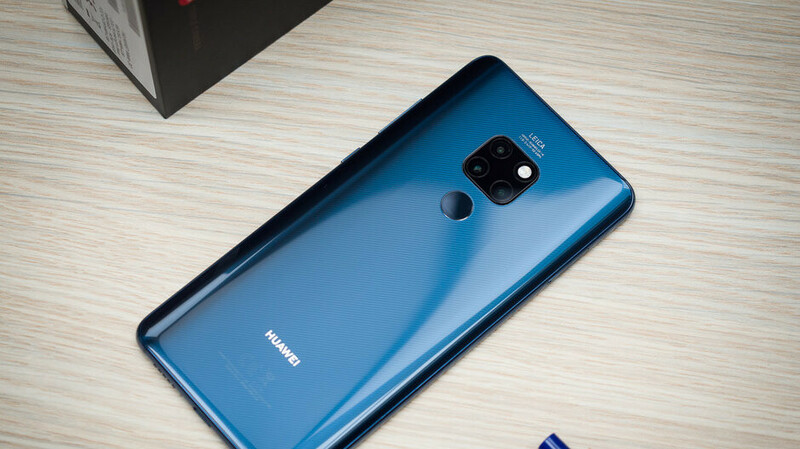 On the bright side, we know a lot of people favor the design of the “regular” Huawei Mate 20, with that small “Dewdrop” screen cutout, while under the hood, both versions come packing 7 nm-based Kirin 980 processing power, paired with 6GB RAM and 128 gigs of internal storage space. By the way, the Mate 20 Pro is no longer available at that reasonable $900 price on eBay, and even if that was still the case, the Huawei Mate 20 fetches a full 300 bucks less. Who needs Black Friday deals when you can score this bargain right now? This is a great deal for a member of the best released smartphone trio (IMO) of 2018! Excellent deal and great ebay seller too. This is the Chinese version? They open it and install the play store for you? The Play Store can be easily installed by yourself from Huawei's App Gallery. It's the international version. Never MSRP sell international phones and if they're Chinese they state it clearly. I can't in good conscience say that this is a great buy because imo, it's not. I don't trust Huawei enough to give them another chance especially after the Nexus 6P fiasco. I'll stick to the superior OnePlus 6T. Stop it. You weren't planning on buying this smartphone, and we both know it. You can't claim that the 6T is superior, since you don't own that either, and never will. You're only on the OnePlus bandwagon because you know you can't justify your deflecting from the issues that Pixel Phones are having. why does it matter to you anyway, let the guy have his own opinion and who are you to say he doesn't own a phone, everyone everywhere has a smartphone nowadays anyway. Why does it matter to you what I'm saying to him? Who are you to assume that what I'm saying isn't true about a known multiple account troll who pretends to own smartphones to justify his trolling and is on his 10th account and only posts on certain articles to take potshots at me and OEM's that he doesn't like? You're new here, and obviously don't know about this guy, so you're better off minding your own business until you learn who is really who around here. Hey man take my advice, I haven't been here long, but mg has been on the up and up since I've been here. If he's saying something to venom or about venom, you best believe that he's telling the truth. That venom guy jumped all over me just for agreeing with mg, and even said that me and mg are the same person because I agreed with him! That's wack! He even tried to buddy up to me after that just to instigate a fight by saying that I said something in a more reasonable way than mg did, and mg said the exact same thing that I did, and before I said what I said! Trust me, that venom guy is nothing but a troublemaker, man. Thank you for letting people know the facts, bwomack01. Props to you for that.